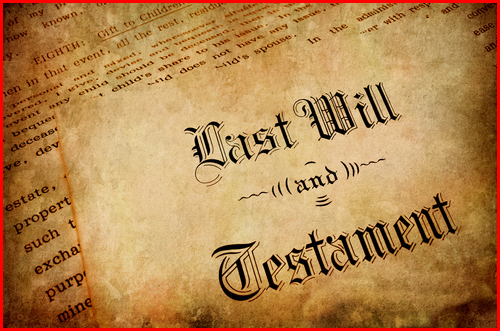 A simple Will can be prepared in the Testator’s own handwriting. It is called a holographic Will. An attorney can prepare a more formal Will. If a person dies without a Will, and the estate is valued at more than $150,000 or there is real estate, there will probably be a Probate. Probate is the court-supervised administration of an estate. While it is a functional process, it is generally much slower. It is much more costly to administer an estate through the Probate process as opposed to a Trust Administration. There are times when a simple Will is all that a person needs to protect his assets at time of death. But that decision needs to be made carefully, so that those who are left behind to sort out the decedent’s affairs can do so as easily as possible. A “pour-over” Will is prepared along with a Revocable Trust. The reason for this is to “pour” into the Trust any assets that were not funded into the Trust during the decedent’s lifetime. Those assets will still have to go through probate, but will be put into the Trust after the probate is completed to be distributed in accordance with the provisions of the Trust.